Cables: DH Labs Revelation interconnects, DH Labs Q-10 speaker cable, Auditorium23 speaker cables, Audience Maestro interconnects and speaker cables. Power Cables: BPT L-10 [in for review], GutWire Power Clef 2, Audience powerChords. 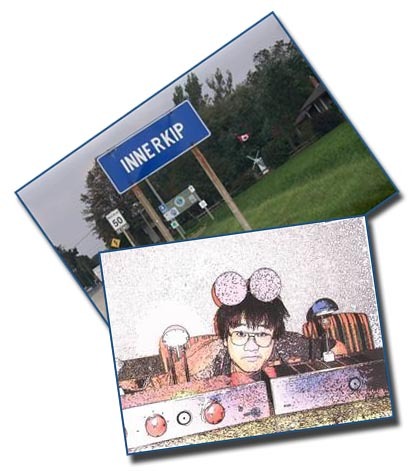 Blue Circle Audio, located in nearby Innerkip/ Ontario, has always lurked on the periphery of my radar. It's one of those brands I have heard good things about but for one reason or another, I had never yet gotten around to checking things out for myself. In North America at least, Blue Circle has garnered quite an enviable rep. In fact, many of Blue Circle's amps regularly show up as permanent denizens in reviewer systems. Just ask the folks over at Stereophile, Soundstage! and Enjoy The Music. Blue Circle essentially is Gilbert Yeung. There isn't a component that goes out the door that he hasn't laid hands on himself. He is one of the most unassuming characters I have met in audio to date. He also has a deliciously twisted sense of humor and does not at all take himself too seriously. Neither does he does suffer fools lightly. Gilbert is brutally honest and has no qualms about telling anyone -- including over- inflated audio reviewers -- to take the long lonely walk off a short pier. Those of you who frequent audio shows will have no doubt run into his buxom companion Mary Lou, as well as Gilbert's outrageous Purse and Pumps preamp and monoblocks. However, all tomfoolery aside, Gilbert is dead serious when it comes to his products. 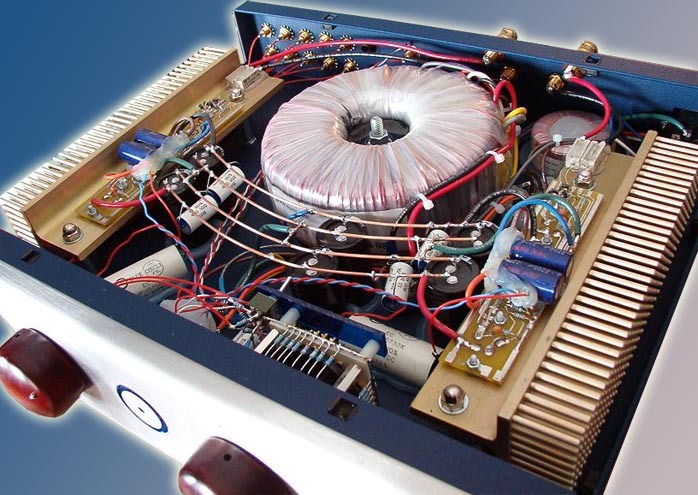 Which brings us to the subject of today's review, the NSCS integrated amplifier. Now don't make the mistake of assuming this is a stripped-down 'lite' version of Gilbert's more expensive equipment, filled with inferior parts and build to cut corners. According to Gilbert, "in terms of parts used in the NSCS, it basically has the same parts as our 200-series power amps. The output modules are the same as in the BC202 and BC204. Even the transformer is hand-wound by the same custom transformer house. All the internal wiring is the same as in the 200 series. The Shallco attenuator is the same as used in the BC3000 MkII and AG3000 preamps. There's not much by the way of cutting corners in the NSCS." I also asked Gilbert if there was a Blue Circle house sound. "There really isn't a house sound from my point of view. I simply want to make equipment that can transfer music from a CD or LP to loudspeakers and ultimately to our ears". Can't argue with that. Did I mention that Gilbert's gear ships with the most versatile of packaging materials? Inside the box, the NSCS sits well protected between a pair of 2' x 2' panels of unassuming grey foam that also works surprisingly well as an isolation device and acoustic room treatment. It turns out medium density open-cell foam has fine acoustical and resonance control properties. If you have ever walked into Blue Circle's room at an audio event or read any show reports, you will have noted a liberal use of foam panels, most of them blue, covering the walls and sitting under components. Before I purchased Echo Busters acoustic treatments for my music room, I used Gilbert's foam to dampen the first reflection points on my side walls. They were so effective, I bought 8 more panels from Gilbert to treat the walls of our overly reflective TV room. My wife has even volunteered to sew up some tasty fabric slip covers for them, too. What a trooper! Since the foam is easily cut with a carpet knife, I whipped up a few custom panels for use under my gear. We're not talking Grand Prix Audio or Finite Elemente performance but the stuff works and the price is right. While I doubt Gilbert had planned on being in the foam business, he does offer the stuff in several configurations on his website. If you wanted a custom size and asked real nice, Gilbert might even accommodate you. If you're looking for inexpensive room treatments or resonance control, Gilbert's foam is definitely worth checking out. By the way, NSCS stands for "Not So Compact Series". The entry-level CS series is of course the "Compact Series". One wonders what the FtTH stands for in Gilbert's forthcoming tube hybrid integrated. 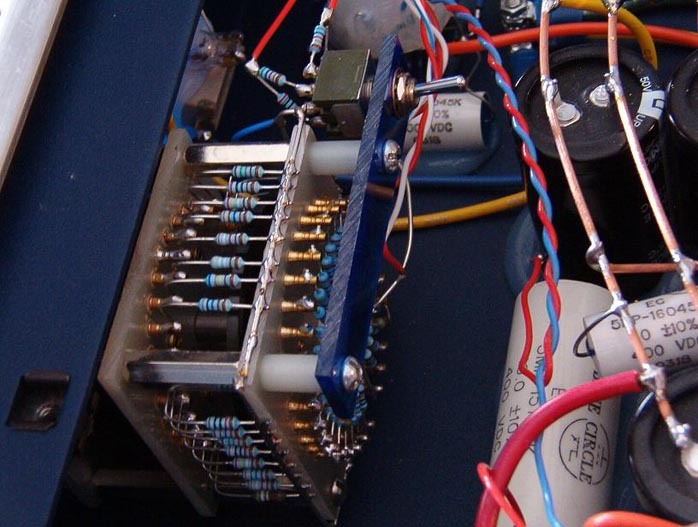 Surprisingly, the NSCS, as do all Blue Circle components, features point-to-point wiring instead of circuit boards as is more common in solid-state designs. That choice is purely for sonic reasons. Gilbert claims that point-to-point "sounds better and that can be heard and measured". The caps sit far apart to avoid potential interference with the power supply. This should result in improved transient response, bass performance and imaging. As you can see from the photos, there is plenty of silicone caulking especially under the caps and transformers. Apparently this causes less stress and sounds better due to its dampening qualities than using traditional metal mounts and straps. According to Gilbert, the commonly used wire ties can actually become too tight and alter the value of the cap when it expands. The NSCS is more than an upgraded version of Blue Circle's smaller 50wpc CS integrated. 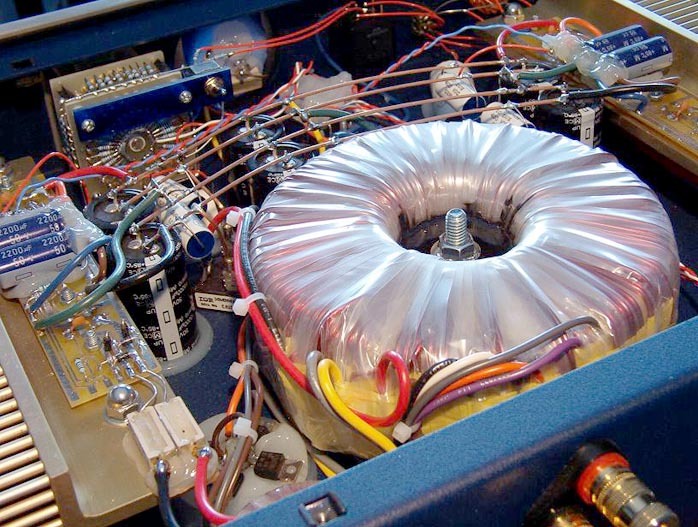 The big brother is equipped with a massive 600VA toroidal transformer and over 100,000 microfarads of reservoir capacitance for a power output of 110wpc into an 8 ohms. The preamp section power supply is also larger. Furthermore, the NSCS utilizes Blue Circle's True Balanced Output Technology (TBOT) in which current also flows on the negative speaker output terminal for greater control of loudspeaker drivers. 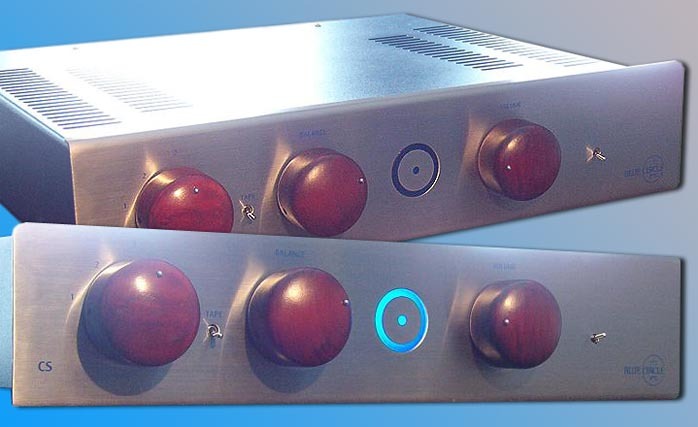 For maximum sonics, the preamp remains powered up even when switched off. You want options? How about single or dual Shallco stepped volume attenuators, remote control, additional inputs and outputs, processor loop bypass, various finishes and choice of knobs? I should also point out that Gilbert will customize his components for adventurous clients seeking something unique from the usual black or silver box. I bet he could even finish them in your fave NHL team colors. Mine of course would be blue and white with a big maple leaf on the top chassis cover. All kidding aside, if you don't see something you're looking for, ask Gilbert. He just might be able to accommodate you. Just be prepared to wait. Gilbert hand-builds all his components himself and will likely tell you to pound salt if you push him too hard. Personally, I am a firm believer in that old maxim: Good things come to those who wait.